Evergrande Group in China has acquired 51% of the shares in NEVS AB in Sweden. Evergrande Group is a well-known company included in the Fortune Global 500 list, with its businesses covering the cultural tourism, real estate, health and hi-tech industries. "I am very pleased with this. It means that NEVS will get a financial strong main owner who also is very interested in developing our vision about green mobility transport solutions for the future", says Stefan Tilk CEO at NEVS. "This in combination with the strong drive and entrepreneurship of Kai Johan Jang paves the platform for a great possibility in achieving our goals", he adds. 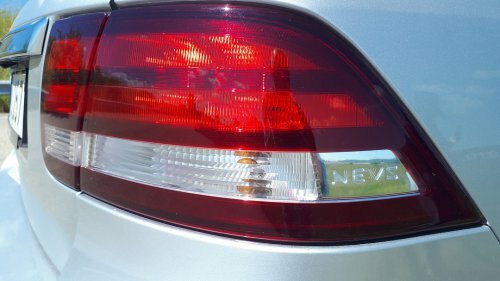 Компания NEVS, которая является владельцем большей части активов шведской Saab, сменила владельца — 51% ее акций, т. е. контрольный пакет, приобрела китайская корпорация Evergrande Group. Better than any New Year has been and will be, Better than any joy known or to be known, Better than any wish realised or to be realised-that's how, this New Year should be for you. Have a great new year!! Друзья, всем удачи в личной, наличной и безналичной сферах!! As you know, the last generation BMW Z4 will have a “technological sister” in the face of the Toyota Supra, built on the Bavarian platform CLAR. What if the story went a different way? Imagine that there was no crisis of 2007–2008, General Motors did not sell Saab, and the Swedish brand is still alive. A light aviation-style roadster would be a great addition to the range of cars and crossovers. 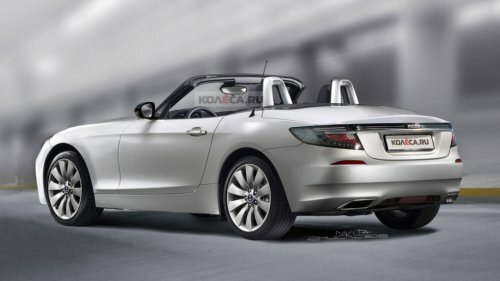 In general, what would a Saab roadster with a BMW Z4 look like if it existed? Как известно, у последнего поколения BMW Z4 будет "технологическая сестра" в лице Toyota Supra, построенной на баварской платформе CLAR. А что если бы история пошла по иному пути? Представим себе, что кризиса 2007-2008 годов не было, General Motors не продал Saab, и шведская марка по-прежнему жива. Лёгкий имиджевый родстер в авиационном стиле стал бы отличным дополнением линейки легковушек и кроссоверов. В общем, как бы выглядел родстер Saab на базе BMW Z4, если бы он существовал? What are the most characteristic features of the appearance of the last Saab? First of all, this is a characteristic curved windshield with hidden struts, a trapezoidal grille and horizontal elongated headlights. The back part largely echoes the front, and the sidewalls have a fairly simple form. An important feature can also be called the original rims, made with styling under the turbine blades. As for the technical part, such a Saab could get weaker row fours from GM cars and “charged” row sixs from BMW. If implemented, it would be the first rear-drive six-cylinder Saab. From message in Instagram, this week, NEVS started presale in China.Here are some photos from our 6 days' exhibition in Beijing. В одной из публикаций в Инстаграм, компания NEVS заявила о начале предродаж в Китае и представила несколько фотографий с 6 дневной выставки. Orio introduced the app "My Saab Car" in Sweden. With the app, available for You must be registered for see links and You must be registered for see links , Saab owners can store and manage all relevant data of their vehicles. Service functions, such as a video chat, can be combined with an Orio specialist if required, in order to receive quick help in case of problems or to forward it to the next contract partner. The workshop can be booked online in the future, a reminder function points to TÜV appointments, winter tire change or service intervals. Before the release, the app has been extensively tested. A team of around 400 Swedish users was involved in the beta phase. At Orio, they are confident that they have developed an app with added value. "My Saab Car" is a big step into the present. Why should Saab drivers do without something that has long been standard on new cars? Why should the service not be digital if the vehicles stay analog? Saab Service, the relationship between Orio, its partners and customers is up to date. Added value for the Saab owners, a strengthening of Orio contractors, and possibly high levels of acceptance, especially among young Saab drivers, could result. Could, because there is still a little uncertainty. We would have liked to test the app, but we can not. At the moment "My Saab Car" is only available for Sweden. All other markets have to wait. Whether it will come to an introduction in Germany, is not known to us at the moment. The You must be registered for see links 2018 will be in Plejsy, Slovakia October 5-7 2018.
from 16.00 Hotel Plejsy, welcome drink, time for registration and check-in, "SAAB SESSION SLOVAKIA SOIRÉE I"
07.45 - 08.30 registration. We are still working on details of the schedule, so far we can present the main points:You must be registered for see links "SAAB SESSION SLOVAKIA SOIRÉE II"
Accomodation is not included in the registration fee and needs to be arranged by filling in the data in registration form. Due to customized offer booking is possible only through . The price is 24.00 € / adult / night, child under 15 with own bed 15.00 € / kid / night, kids without own bed for free. Breakfast is included. To register you need to fill in and submit the online registration form and pay the registration fee after receiving confirmation. Please fill in all the data in the form. We would be glad, if you could upload the picture of your car. Registrations and accomodation requests for the event need to be submitted between 23th August and 15th September 2018. The Saab Car Museum Festival will be in Trollhättan, Sweden June 7-9 2019. Welcome to the Saab Car Museum and Trollhättan! Музей СААБ в Тролльхеттене проведёт фестиваль с 7 по 9 июня 2019. Добро пожаловать на Фестиваль и в Тролльхеттен! Approximate date - 4-th of august. More precisely we will know in the near future. We'll follow the news. Ориентировочная дата - 4 августа. Более точно узнаем в ближайшее время. Мы будем следить за новостями. Напишите в комментариях поедите вы или нет, что ожидаете от фестиваля и т.д. Пожалуйста, пишите Ваше имя, модель авто и город, откуда Вы приедете. Взнос в этом году составит 1200 р с автомобиля, пассажиры без дополнительных оплат.